Propane is responsible for powering a number of machines, from cars and trucks to furnaces and stoves. Propane offers many benefits over traditional power sources such as electricity, including reduced costs and more efficient use of energy. When seeking a propane refill, you need a Dallas propane company that has a proven record of success. Northwest Propane is a company that offers customers the knowledge that goes with years of experience in the propane business. Propane has many uses suitable to a home environment. Propane water heaters offer unmatched efficiency, especially when compared to their electric counterparts. 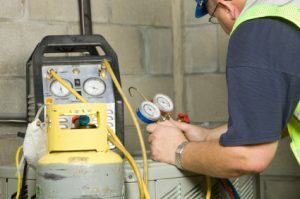 Furnaces can also be powered by propane, which actually costs far less than traditionally powered furnaces. Common household appliances, such as grills and cooking ranges, can also run on propane. Even cars and trucks can be powered by propane, making it a great alternative energy source. With so many propane-powered devices available, you’ll want to find a propane refill company that you can rely on. Northwest Propane is just such a service, offering fast and courteous service each and every time. These dedicated technicians will even deliver propane to your home, ensuring that you never run out. With features like automatic billing, your propane needs will be met time and again by our staff of propane experts. When in need of a propane refill, Northwest Propane is your go to choice for great service. Contact us at 972-247-6121 and talk to an experienced technician today.